Minister, Ministry of Natural Resources, Tuvalu. Honourable Ministers from all FFA member countries and your delegations, FFA Director General Mr James Movick and your staff, Senior Government Official of the Government of Vanuatu, representatives of Crop Agencies, Observers, and Friends. It gives me great pleasure to address you in my capacity as Chair of the 11th Forum Fisheries Minister’s meeting, which was held in Tuvalu in July of this year. 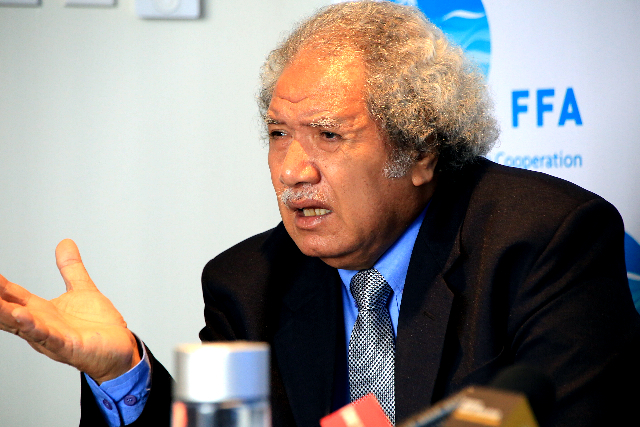 Funafuti, TUVALU Tuesday 30th June 2015-- Fisheries leaders at the 11th Ministerial meeting opening sessions in Tuvalu this morning, observed a short silence to honour their former colleague and global oceans champion Foua Toloa.